“Reaching 1,000 stores is a special milestone especially in an industry as competitive as ours. Jollibee’s growth and success over the years is largely due to the fruitful partnerships we’ve made and nurtured with our franchisees, and the support of the local government units where we operate, as well as our various business partners. These, together with the patronage of our loyal customers, are among the reasons why Jollibee is where it is now—the number one and most loved fast-food chain in the country,” said JJ Alano. Perhaps one of the grandest and most anticipated events in Jollibee history, the 1,000th milestone store opening is a month-long celebration packed with exciting activities for loyal Jollibee fans. From the Libreng Sakay around BGC to the grand store reveal and promos on opening day, patrons can look forward to enjoyable new experiences in the days to come. As the doors of the 1,000th store finally opened to the public, celebrity guest and Jollibee endorser,Anne Curtis, happily served excited customers at the dine-in and drive-thru counters, while Jollibee and squad entertained event-goers through a friendly, energetic showdown with the UPeepz. 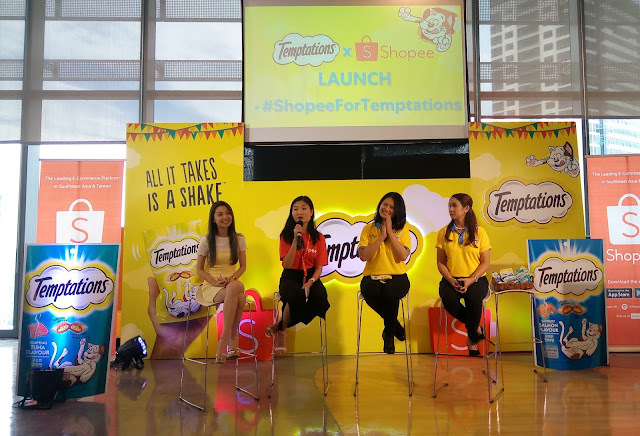 A star-studded surprise also awaits unsuspecting customers as more Jollibee endorsers, including James Reid and Nadine Lustre, Bailey and Ylona, Joshua Garcia and Julia Barretto, Jasmine Curtis, Jodi Sta. Maria, and the Legaspi family, are scheduled to visit the Jollibee BGC Triangle Drive branch during the month-long celebration. Limited edition travel mugs, designed by TeamManila Graphics Design Studio, are also up for grabs, as well as a special Chickenjoy bucket-inspired tissue holder. Jollibee dolls will also be given to the first 1,000 customers for every purchase of a Chickenjoy bucket, while 10 lucky diners—one for every 100th milestone store—will get a whopping one-year supply of Chickenjoy. Jollibee customers can also enjoy the exciting line-up of promos and giveaways. From July 4 to 6, Grab riders heading to the 1,000th store can get a P100 off on Grab car or Grab share fares by using the promo code “JB1KSTORES”. To kick-off the celebration, Jollibee hosted a store blessing ceremony attended by valued business partners, government officials, and other special guests. Jollibee Foods Corporation (JFC) Chairman Tony Tan Caktiong, JFC Chief Executive Officer Ernesto Tanmantiong, JFC Philippines Country Head Joseph Tanbuntiong, and Chief Global Real Estate Officer William Tan Untiong unveiled the 1,000th store commemorative marker. This was followed by the ribbon-cutting ceremony and official store blessing led by Jollibee Philippines President JJ Alano with Taguig City Mayor Lani Cayetano, Department of Trade and Industry Undersecretary Nora Terrado, Ms. Universe 2015 Pia Wurtzbach, and Jollibee BGC Triangle Drive Restaurant Manager Sharon Morendo. To further build on its Farmer Entrepreneurship Program (FEP), Jollibee Foods Corporation, through the Jollibee Group Foundation (JGF), is investing P10 million in a program that will educate and train 1,000 young farmers on agro-enterprise management, in partnership with academic institutions, NGOs, Local government units, and Social Enterprises across the country. This was symbolically presented by JFC Chairman Tony Tan Caktiong and JGF President Grace Tan Caktiong to Rowell Lopez and Lawrence Catabay, young farmers from Ilocos and Pangasinan who directly supply JFC through FEP. Implemented by JGF, FEP is one of the programs that aims to help Filipino families put food on their tables. The store blessing program culminated in Jollibee’s well-loved tradition. “Here’s a toast to celebrate Jollibee Philippines’ 1,000th store milestone! May we continue to make Jollibee a source of pride, hope and joy for our fellow Filipinos here and across the globe!” said JFC CEO Ernesto Tanmantiong as he led the Chickenjoy Toast. World-class Filipino singers, Morissette Amon and Darren Espanto, concluded the program with an electrifying performance of the Jollibee anthem, “Ang Sarap, Ang Saya Maging Pilipino”, adding a lasting inspirational tone to the joyful atmosphere. Jollibee’s 1,000th milestone branch in BGC Triangle Drive is the sixth Jollibee store in Bonifacio Global City and the 16th in Taguig. It features the latest modern tropical design concept that’s expected to appeal to customers of all ages, has a seating capacity of 350 people, and two (2) spacious and beautifully-decorated party areas that give-off a hip and refreshing vibe with colorful sets of furniture. Creative murals also give the milestone store engaging and contemporary feel, starting with a 27-foot long drive-thru Jollibee Pinoy Art containing images of the Philippine Eagle, the carabao, and the sarimanok grabbing some Chickenjoy to bring home, while another artwork welcomes visitors to “a world of joy” at the parking entrance. Indeed, from the exterior down to the details, the 1,000th store is set to enhance the overall dining experience of customers. The country’s number one fast-food chain celebrates its biggest milestone to date with the opening of its 1,000th store in the Philippines at BGC Triangle Drive in Taguig City. The well-loved Filipino brand has come full circle, from the time that it opened its first store in the late 1970’s with a modest ice cream parlor in Cubao, to becoming one of the most successful and reputable Filipino brands, and to date, Asia’s number one QSR brand. Prior to the #Jollibee1000Stores milestone celebration, the brand began its journey across the nation to set the stage for this momentous day. From Davao City to Guagua and Mexico in Pampanga, Binangonan in Rizal, Manila’s North Harbor, Bauang in La Union, Mandaue City in Cebu, Boracay Island in Aklan, and Atimonan in Quezon, culminating with the opening of store number 1,000—Jollibee BGC Triangle Drive.